Disclosure: I have been compensated for this sponsored post by MIRACLE WHIP, as part of the Mom It Forward Blogger Network. Can you believe that Memorial Day is right around the corner? With the cool spring that we’ve had here in Minnesota, it doesn’t seem possible, although I’ve heard that in other parts of the country, you are already using your air conditioners. Memorial Day is a day set aside to remember those who died in service to their country. It has also turned into the kickoff for summer. We usually get together with friends and family at a park or someone’s house and we eat great food. 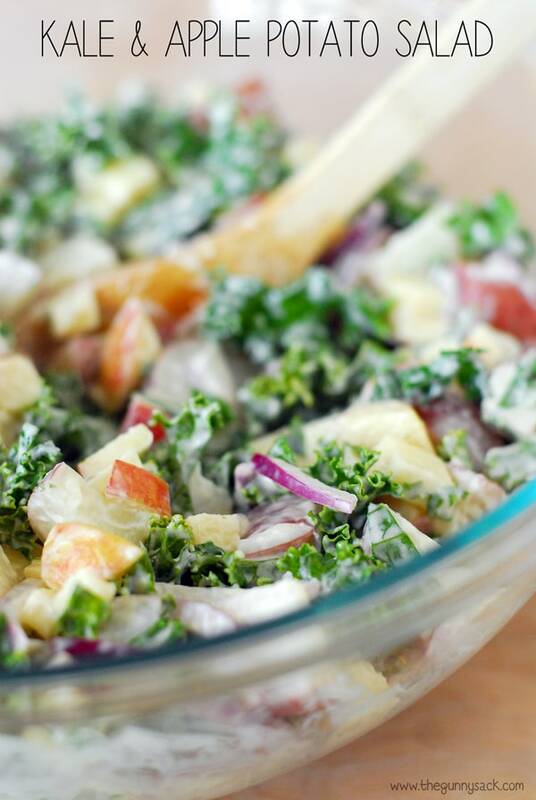 This year, forget the standard, old-fashioned recipe – make a bold (flavor) statement with this MIRACLE WHIP Kale & Apple Potato Salad. To make the salad, start by quartering, cooking and cooling two pounds of new red potatoes. Since new potatoes have a waxy texture, which helps them retain their shape after cooking, they are a great choice for use in salads or for roasting. Here’s a fun fact: Since the skins of new potatoes are tender, they do not need to be removed prior to cooking or eating. Next, mix together MIRACLE WHIP Dressing, mustard and vinegar until blended. 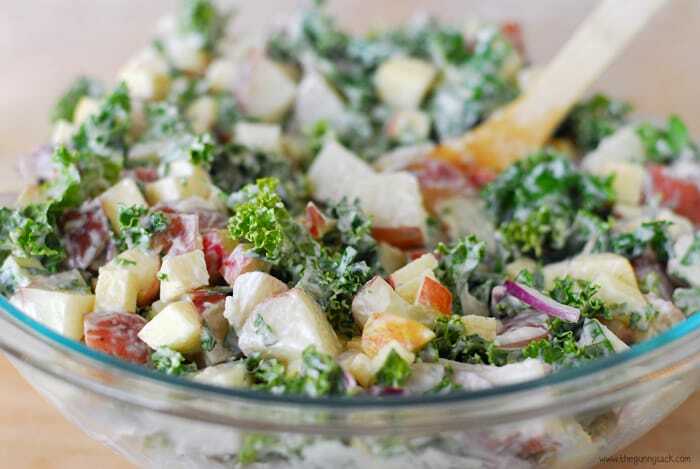 Chop the kale and the apples and place them in a large bowl. Thinly slice the red onions and add them to the bowl. Next, add the cooked and cooled potatoes and the dressing mixture. Lightly mix the salad and refrigerate for several hours or until chilled. 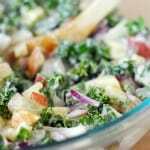 Additional recipe tips: http://bit.ly/1giVneM You are in for a delicious surprise with this salad and your taste buds will thank you! 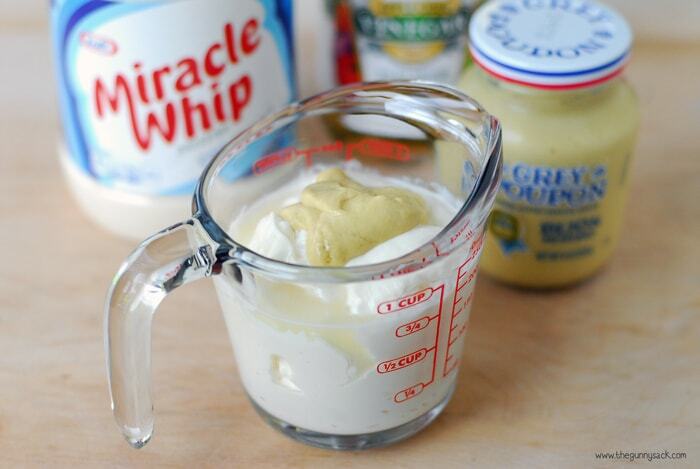 This recipe is from MIRACLE WHIP. Mix the dressing, mustard and vinegar until blended. Combine the remaining ingredients in large bowl. Add dressing mixture; mix lightly. Refrigerate for several hours or until chilled.